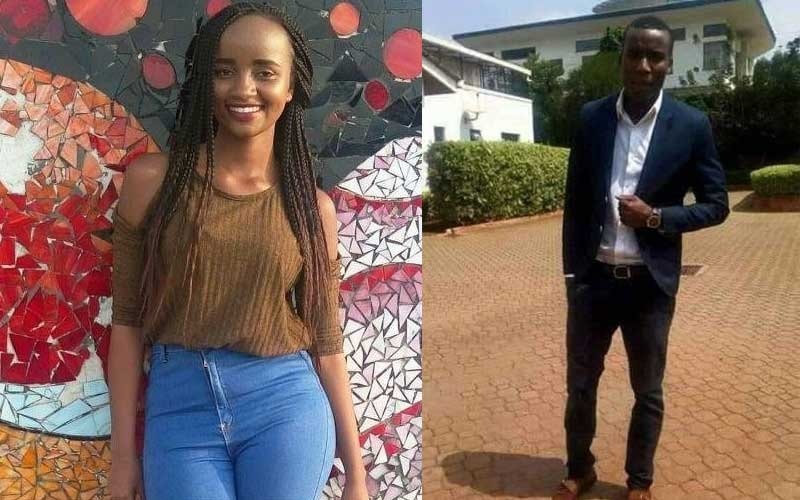 Friday, April 12, 2019 - The mother of 28 year old murder suspect, Naftali Kinuthia, who hacked his girlfriend, Ivy, to death, believes her son will be pardoned by the State despite committing the heinous murder that has shocked the Country. According to Naftali’s mother, Nancy, her son is struggling to accept that he is the one who killed Ivy. He is yet to believe that he travelled all the way to Eldoret from Nairobi where he bought an axe and a panga which he used to kill his girlfriend. When his father visited him in hospital, he told him that he can’t believe he is the one who hacked the young and promising medical student to death. “He told his father that he can’t believe that it is him who killed the girl,” Nancy said and added that she is hoping that the State will understand that Naftali is a polite and harmless man who graduated a few years back from Jomo Kenyatta University of Agriculture and Techonoogy (JKUAT). Nancy is still in shock and is yet to understand what might have driven her son to commit such a heinous crime. She claims that she brought him up in strong Christian values and described him as a God fearing man. “I am just shocked and lost for words. I know him as a God fearing man and a regular church goer,” she added.